The United Nations High Commissioner for Human Rights released a report identifying, but not naming, 206 companies doing business linked to illegal Israeli settlements built on stolen Palestinian land in the occupied West Bank, including East Jerusalem. 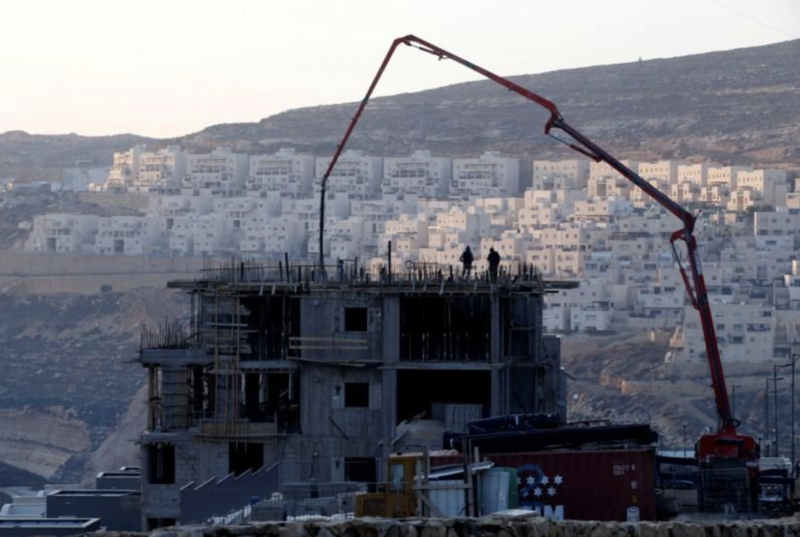 (REUTERS/Baz Ratner/File Photo) A construction site is seen in the Israeli settlement of Givat Zeev, in the occupied West Bank December 22, 2016. January 31, 2018 — Today, the United Nations High Commissioner for Human Rights released a report identifying, but not naming, 206 companies doing business linked to illegal Israeli settlements built on stolen Palestinian land in the occupied West Bank, including East Jerusalem. The violations of [Palestinian] human rights associated with the [Israeli] settlements are pervasive and devastating, reaching every facet of Palestinian life. Owing to settlement development and infrastructure, Palestinians suffer from restrictions on freedom of religion, movement and education; their rights to land and water; access to livelihoods and their right to an adequate standard of living; their rights to family life; and many other fundamental human rights. Palestinian civil society welcomes the UN’s latest rebuke of Israel’s egregious violations of Palestinian human rights, and insistence that businesses have an obligation to avoid complicity in these violations. However, it’s unfortunate that intense bullying by Israel and the Trump administration has prevented the UN to date from releasing the actual names of the companies it has deemed complicit in Israel’s grave violations of international law. Without publicly naming names, meaningful accountability is more difficult to attain. With the Trump administration’s unconditional support, Israel is continuing its attempts to intimidate UN officials, heads of states, corporations and cultural figures. But people grow tired of bullies, and bullies are eventually stopped and held accountable by persistent, patient, collective efforts. The BDS movement for freedom, justice and equality, is working to hold companies complicit in Israel’s abuses of Palestinian human rights to account, and it will continue to do so. Effective BDS campaigning has in fact compelled major corporations, like Veolia and Orange, to end their collusion in Israel’s crimes. While this UN report does not go far enough, it is a positive step and confirms the necessity of our grassroots work.